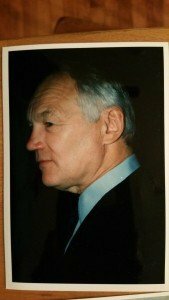 Robert Edward Gibbs, 81, of Hingham, Massachusetts, passed away peacefully on Monday, 9 March 2015, surrounded by his family after fighting pneumonia. He was born 23 March 1933 in Stoughton, Massachusetts, son of Harland Gibbs and Jennie Wallin. He is survived by his wife, Barbara; his son, Marc R. Gibbs and wife Megan L. Motherway of Washington, D.C.; his two daughters, Patricia Candee Gibbs and wife Sara E. Northrup of Northampton, Massachusetts, and Tolly G. Zonenberg and husband Edward Zonenberg of Simsbury, Connecticut; and his three grandsons, Nicholas Zonenberg, Andrew Zonenberg and William Gibbs Northrup. Bob was an avid swimmer and lifeguard, and taught swimming and trained instructors at YMCA in his youth. He was a veteran of the Korean War, graduate of the University of Massachusetts in Amherst where he excelled in varsity swimming. 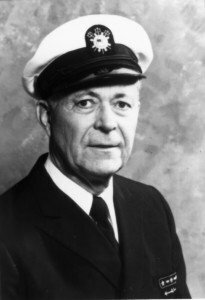 He served as commodore of the Hingham Yacht Club and continued to serve on its many committees to ensure the safety and integrity of the piers and structures. Bob was an active member in his community, including the Rotary Club, Veterans Council, United States Power Squadron and the Lincoln Sailing Club, giving access to sailing and boating skills to children and teenagers who could not have otherwise afforded it. He believed that higher education should be affordable to everyone and served on several local scholarship committees. Bob loved nothing more than racing his sailboats with his loyal crew of family in the local regattas and spending time laughing with his family and teaching his children how to ski, use tools and sail. He kept active in the recent years by learning ocean navigation and walking and bowling with “the boys.” He will be remembered as a loving and devoted father who was honest, kind and generous. 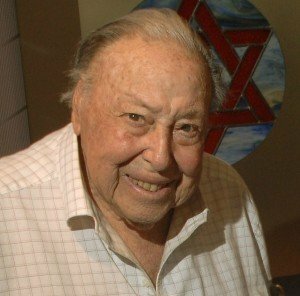 Herbert L. Shulman passed away 21 Dec. 2014. He was sailing for many months. He was very active with the Nobscot Sail & Power Squadron, District 12 and national for many years. He is survived by his wife, Sylvia, and two children. Services were held on 23 Dec. 2014. Robert W. Feeney, 88, of Wayne, New Jersey and formerly of Hawthorne, New Jersey, passed away on 21 Jan. 2015. Beloved husband of Gloria P. Feeney and predeceased by Helen G. Feeney, he is survived by his sons Robert D. Feeney and wife Mary of Scituate, Massachusetts; and David B. Feeney and wife Lynne of Ho Ho Kus, New Jersey; five grandchildren; and one great-grandson. 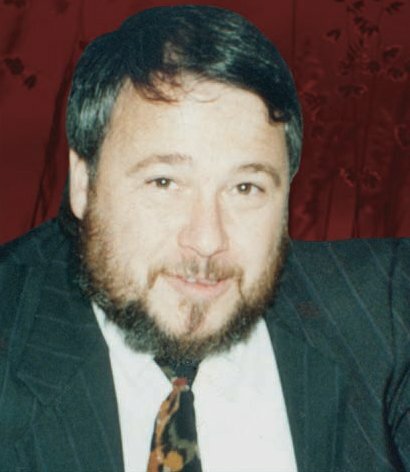 Bob was a partner in the family funeral business, John J. Feeney and Sons Funeral Home in Ridgewood and Paterson, New Jersey. He was born and raised in Paterson and graduated from Paterson State Teachers College and McAllister School of Embalming. A U.S. Naval Air Force veteran of World War II, he was an aviation ordnanceman and top turret gunner aboard Martin PBM Mariner patrol bombers in the Pacific Theater. Bob was a member and past president of the Hawthorne Rotary Club and a past president and charter member of the Hawthorne Blood Association. Bob was a charter member of the St. Anthony Council #5920 Knights of Columbus and of the B.P.O.E Wayne Elks, past president of Paterson Junior Chamber of Commerce and a member of Forward Paterson Movement. Bob was a 35-year member of the Catholic Bowling League, bowling for St. Therese’s; a member of the Ancient Order of Hibernians; a member of Bernard Armitage Post #360 American Legion, VFW Post #1593 of Hawthorne; and a member of High Mountain Golf Club in Franklin Lakes. He was a member of Passaic County Grand Jurors Association, where he served as deputy foreman. A very active young man, Bob was a Charter Member of the World Champion Hawthorne Caballeros Drum & Bugle Corps., and played semi-professional football for the Hawthorne Cardinals in the New Jersey Professional Football League in the late 1940s. 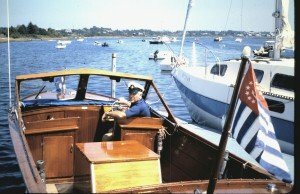 Bob and his family enjoyed boating at their vacation home in Chatham, Massachusetts, where he taught his sons and neighborhood children the basics of safe boating, boat handling and sailing. He owned and maintained a beautiful Lyman Islander 21-foot Runabout as well as a variety of sailboats in Chatham. Bob joined the United States Power Squadrons in 1961, ultimately becoming commander of the Saddle River Power Squadron in North Jersey. He earned 29 merit marks and the grade of AP. In 1978, he achieved Educational Proficiency. He served as chaplain at Saddle River and chair of the Public Relations Committee for many years. On 22 Jan. 2015, Past Chief Commander Raymond A. Finley Jr., SN, 93, was laid to rest in Chatham, New Jersey. Ray is survived by Blanche, his wife of 69 years; sons, Raymond A. Finley III and James E. Finley; daughters, Margaret F. Paton and Patricia J. Finley; nine grandchildren; and six great-grandchildren. Ray became a Sea Scout in 1936 and earned Sea Scouting’s highest honor, the Quartermaster Award, in 1939. He met his future wife, Blanche Kopper, at a Sea Scout/Girl Mariners sailing camp. Ray graduated with a mechanical engineering degree from Rutgers University, and as a U.S. Navy lieutenant during World War II, Ray served in the Pacific aboard the destroyer USS Monssen. After the war, he married Blanche and enjoyed a long career at Linde Griffith Construction Co. of Newark, New Jersey. An avid sailor and long-time New York Yacht Club member, Ray cruised with his family aboard their sloop, Shamrock. 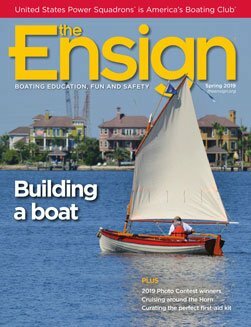 In 1962 his passion for boating safety led him to join Lackawanna Sail & Power Squadron/4, where he taught various courses, including Sail. He became squadron commander in 1971 and district commander in 1976. As tall ships coordinator for the U.S. Bicentennial celebration Operation Sail 1976, Ray planned and plotted the safe passage of all 21 tall ships under bridges down the East River and into the Hudson on a single tide. He received a New Jersey safe boating award for his efforts during OpSail. After serving on the national Bridge, Ray became Chief Commander from 1982-83. On 11 Sept. 1982, he called a special meeting of the Governing Board to vote on two amendments to the USPS constitution and bylaws. The first deleted all references to gender and removed the word “male,” allowing women to become fully participating USPS members. The second amendment created a family membership plan for spouses and children 12–25. In 2004 Ray became the first adult recipient of the eponymous Finley Sea Scout Service Award. During his 54-year membership in USPS, the emeritus member served the organization tirelessly and earned 52 merit marks. Lackawanna Sail & Power Squadronobituaryraymond finley jr.
P/Lt Ralph Morse, JN; photo courtesy of South Florida Sun Sentinel. Used with permission. Ralph joined Lackawanna Sail & Power Squadron/4 in 1968. He moved to Florida after retirement and became active in Palm Beach Sail & Power Squadron/8, where he volunteered as photographer, public relations officer and vessel safety examiner. He earned nine merit marks. Ralph enjoyed being on the water aboard Lifetime. Roy Earl Maas passed away on 7 January 2015 at 77. He is survived by his wife Myril. Roy held a U.S. Coast Guard 50 Ton Captains License. He came to San Luis Rey Sail & Power Squadron in 2011 after moving to Temecula, California. He had been a member of San Francisco Sail & Power Squadron, where he taught the Junior Navigation and Navigation courses. He also served on the District 25 Bridge. Roy was very proud to be a USPS member, and he was “in his glory” every time he attended an event. SLRSPS members last saw him at the squadron Christmas party in 2013. Before moving to the San Francisco area, Roy began his squadron career in the Northern New Jersey Power Squadron. In 1971, he participated in the squadron’s television series for WNBC-TV New York, “Underway with the Power Squadron.” The series filmed 13 half-hour shows, and Roy was one of two instructors selected from 13 squadrons to teach the Sail presentation. In 1998 Roy was nominated for election to the USPS National Governing Board and remained a member through 2001. Roy held the position of Assistant Chair, Education Development and Review in 2000. 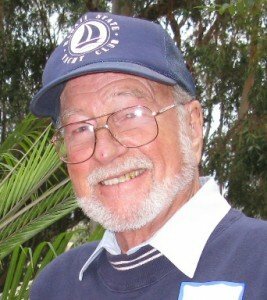 He received his 50-year USPS membership plaque in 2009. Each month Roy looked forward to receiving The Ensign and The Mariner’s Needle, and read both magazines from cover to cover. He and Myril enjoyed an occasional sail aboard L’Esprit with Cheryl and Adriaan Veldhuisen. Roy’s library of sailing and nautical books, along with his teaching materials, will form the basis of San Luis Rey’s squadron library. Submit an obituary for a deceased USPS member by using the form below. 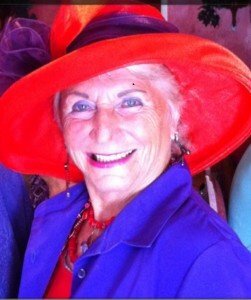 On June 28, 2014, we sadly had to accept the passing of one of our organization’s most outstanding women, P/C Geneva Wilson, SN, of Gautier, Mississippi. This rare individual has been a shining example of what can be accomplished in this country with a solid work ethic and perseverance. She was born Geneva Legate on 28 Feb. 1931 in Arkadelphia, Arkansas, during the darkest days of the Great Depression, the daughter of an Oklahoma cotton farmer, with eight brothers and sisters. Always a bright and conscientious student, she overcame the hard times and was able to attend prestigious Baylor University for two years then finished her undergraduate degree at the University of Oklahoma. Geneva’s is survived by her husband, Robert Wilson, a retired Army officer who also speaks fluent Chinese. Robert served as an interpreter during the extended peace talks after the Korean War. The couple spent several years in Washington, D.C., while Robert worked for the Defense Intelligence Agency. Always driven to learning more about her world, Geneva studied at the University of Maryland while living in D.C. She also studied at the University of Frankfort in Germany for two years while her husband was stationed there. Adept at languages, Geneva became fluent in German, Spanish and Mandarin Chinese. When Robert retired from the Army in 1964, they returned to Oklahoma where Geneva started a 20-year career with the US Postal Service of Oklahoma City, rising to manager of carriers and ultimately postmaster. 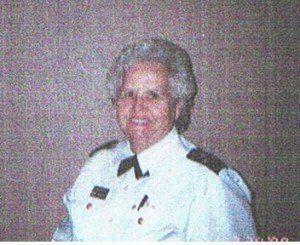 She retired as US Postmaster, attaining the US Post Office High Expectations Achiever Award. Geneva also was an accomplished airplane pilot with an instrument rating flying many types of single engine airplanes. Somehow Geneva and Robert found time to raise five children plus two of their 15 grandchildren. In 1992, the Wilson’s, both fully retired, moved to Gautier, Mississippi, and joined the Singing River Power Squadron in 1994. Geneva became an active boater, and within a few years she was selected for command of the squadron. Her leadership and dedication were superb, but her participation in the USPS Education program has become legendary. Since joining the squadron, except for a relatively short period when Geneva was hospitalized from a serious stroke, none of her squadron mates can ever remember a single boating class or vessel safety check event that Geneva was not actively present as a student, instructor, monitor or examiner. She entered the Junior Navigation Course with seven other squadron mates but was the only student to complete the course. She went on to be the only person from her squadron to achieve a full certificate in the 21st century. She truly was, and will always be remembered, as one of the great treasures of the United States Power Squadrons. All who knew Bill Ehrman would agree that he certainly put the spice into life. He was resourceful, a man who thought outside of the box, and the sort of person who never let life get the best of him. 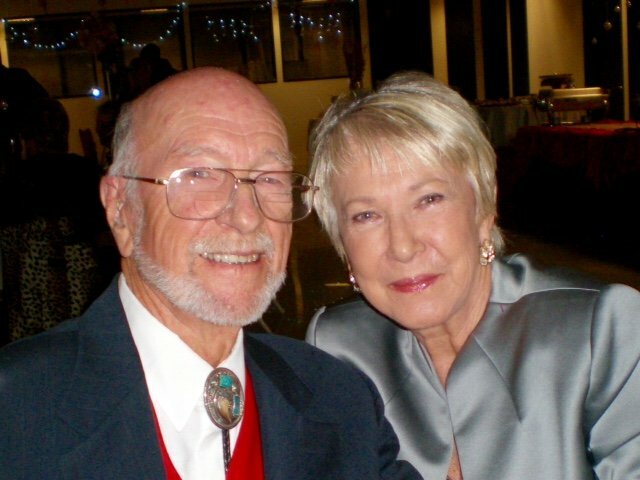 Bill was blessed to spend the majority of his life alongside his true love with whom he welcomed the children and grandchildren who were his life. He was a true patriot who knew what it meant to work hard, yet he also made sure that he took time to enjoy life to the fullest each day. Life will never be the same without Bill here, but he leaves behind a timeless collection of memories that will remain forever near and dear to the hearts of his friends and loved ones. On 18 Nov. 1953, a young couple from Morris, Ill., was delighted to welcome a healthy baby boy into their hearts and home on . Bill was one of several children born to his parents, Fred and Emma Ehrman, and his earliest years were spent in the family home. By the time he was a young man, both of Bill’s parents had died, which sent him to Kankakee, Ill., where he lived with his sisters while he finished his education. Bill was a student at local schools, including Morris Elementary School and Eastridge High School beginning with his freshman year. Conn. Bill was stationed in Charleston, S.C., for a time and was given permission to come home for a quick visit before he was sent out for a three-month patrol. He also took classes at University of South Carolina while in the Navy. Not to be forgotten during his years as a young man was Bill’s introduction to the young woman who would forever hold the key to his heart. Her name was Kathy Lamb, and they were a great pair. While in the military, Bill visited Kathy at Illinois State University when he could. With a desire to establish a life together, the couple was united in marriage on 7 Aug. 1976 at the Salvation Army. Together Bill and Kathy were blessed with the births of three children: Adam, Amy and Ashley. Along his entire life’s journey Bill loved the water. He and Kathy complimented each other perfectly as they spent numerous days on the beach with him in the water and her on the beach. Bill loved scuba diving, especially at some of his favorite places such as Folly Beach and Isle Palms in South Carolina. Memorable vacations were taken to Singer Island, Fla., where he discovered tropical beach drinks and his Tommy Bahama hat, in addition to Beaver Island, Apostle Islands, and Kentucky Lake with family. There was also the time he went to Door County for 11 days and almost forgot to come back! In everything he did, Bill was one to work hard. He graduated from Governor’s State University is University Park, Ill., with a degree in chemistry. Bill spent more than 33 years working as a project leader for Henkel Chemical Corporation. Bill loved playing the drums, and when he was laid off from his job he bought a new set of drums and formed a band as a means of providing for his family. A devoted father through and through, it was not uncommon for Bill to come home from a late night with the band to take care of Adam as he treasured spending time with his children. He loved cooking out with his friends, and as his friends and family can attest he was a master of the grill. A longtime member of the community he loved, Bill was a member of the Aroma Park American Legion, Aroma Park Boating Association, Kankakee Yacht Club, Kankakee Valley Sail & Power Squadron and the Moose Lodge. A true gift, Bill brought such light and life to the world around him. He fully devoted himself to whatever task was at hand and never took even one moment for granted. Bill’s family was always his main focus in life, and it was when he was gathered with his family that he was happiest. He will be dearly missed and warmly remembered. Bill J. Ehrman died 10 July 2013 at his home in St. Anne. Bill’s family includes his wife, Kathy Ehrman of St. Anne, Ill.; children Adam (Lacy) Ehrman of Springfield, Ill., D (Justin) Marques of Gilman, Ill., and Ashley (Nick) Benjamin of Kankakee, Ill.; grandchildren Henry Gerritson, Hayden Gerritson, Justyne Marques, Kate Ehrman and Ellen Ehrman; sisters Karen (Wendell) Darling of Morris, Ill., and Clara Rutledge of Vermont; brothers David (Maureen) Ehrman of Port Orange, Fla.,, Ben (Beth) Stillwell of Marshalltown, Iowa, and Steve (Vicki) Cobb of Buford, Ga.; brother- and sisters-in-law Judy Ehrman of Morris, Ill., Rosemary Ehrman of Coal City, Ill., Ben and Betty Hale of Manteno, Ill., and Marilyn Friant of Morris, Ill.; and father-in-law Ray Lamb of Aroma Park, Ill. Bill was preceded in death by his parents; brothers Paul Ehrman, Fred Ehrman, Roy Ehrman and Red Osman; and sisters Eva Hale and Rosemary Ehrman. Please visit lifestorynet.com where you can leave a memory or sign the online guestbook.